Recently, the United States armed forces has been plugging “joining up” as a great way to see the world and gain valuable life experience. While there is no doubt that these things are true, there are a couple of other ways that you can see the world and gain great life experience without putting your life in harms way on a daily basis. One of these ways is getting a job aboard a cruise ship. 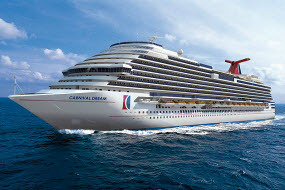 There are many different exciting careers to choose from on a cruise ship, and while it is a full time position, meaning you are probably not going to work just forty hours a week, you will most likely receive free room and board, free on ship medical care, and you will get to travel the world and meet exciting new people, all while getting paid. Most people work their way up from an entry level position, but people fall into cruise ship careers from all different walks of life and backgrounds. Obviously, someone from the medial department is not going to work their way up in the salon department without some additional training. However, there is room for growth in almost all of the departments. One of the most important things about working on a cruise ship is to have an outgoing personality. In a fast paced travel environment like a cruise ship, it is important to be outgoing and flexible. With that in mind, you will be able to go far. People who have worked on cruise ships often highlight the benefits of working on them as travel, sightseeing, meeting new people all of the time, having free living expenses and recreation, and getting to know their co workers in a close knit environment. While you often need to make a commitment of a minimum of four months, there is often a break of four to six weeks before your next contract, and you have no living expenses while on contract so you have quite a bit of expendable income while on your break.